TOP [Program currently off season] First in Japan! Driving & exhilarating time attack game in the snow! And warm crab hot pot in the snow hut included! [Program currently off season] First in Japan! Driving & exhilarating time attack game in the snow! And warm crab hot pot in the snow hut included! ⋆possible to fly only good weather condition day. *Required time may change depend on number of participants your group. Exciting snow driving and time attack challenge! Afterwards, enjoy warm crab hot pot in snow hut! A real entertainment for grown-ups! How about experiencing the ultimate snow driving in Hokkaido? 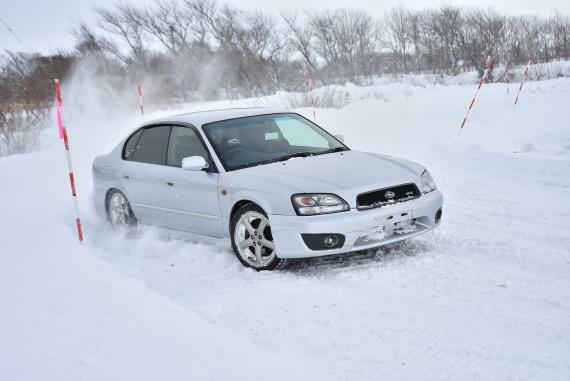 Situated next to Sapporo city, Ebetsu city has a specially-installed oval-shaped course for snow driving! After spending about 20 minutes in practice, you can challenge yourself to a time attack with one lap! Annually, there is a wonderful present for the top-scorer. The time attack uses the sporty vehicle, LEGACY B4. Since the drive takes place within a privately owned land, there is no need for a driver's license. Anybody can try as long as they are over 140cm in height. After driving, enjoy delicious crab hot pot inside the snow hut. Heat up both your mind and body with the warm crab hot pot! If you are not interested in the driving challenge, you can select, "Crab hot pot only". You will able to enjoy crab hot pot with your driving challenge friends. (only Tuesday and Wednesday):1000Yen per person. 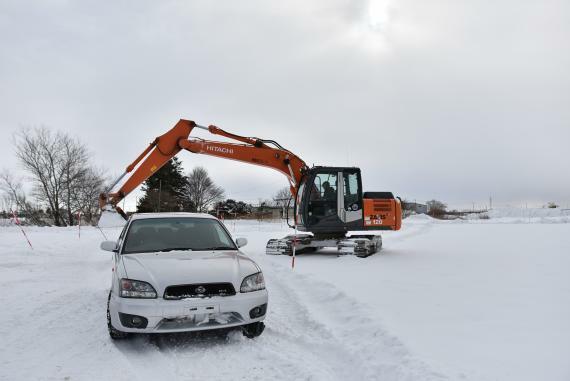 Even if you drive off the course, you will be recovered using heavy machinery, so there's no need to worry! You can be as bold as you want! Everything depends on your driving skill. Please try drift experience that can only be done here! In winter, you need to have crab hot pot! Inside the warm snow hut, enjoy Hokkaido's winter flavors. ・Anybody can drive as long as they are taller than 140cm, even if they are below 18 years old. You do not need a driver's license. ・Please make a booking at least two people if you prefer the course Driving with Crab hot pot. Warm outfit that is easy to move in. About 50 min from JR Sapporo station by car. Free transfer is available from JR Nopporo station in Ebetsu city only. Guests accompanying small children can enjoy snow sled free of charge. 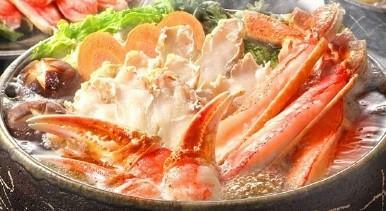 If your friend dose not want to drive, he or she is possible to join only Crab hot pot(7000yen per person). If so please write at booking request form. We have prepared fun activities for you to experience Hokkaido. How about making them the first of your memories in Hokkaido? 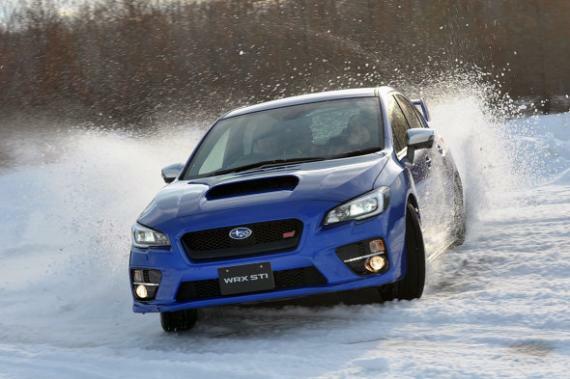 You won't find the chance to have fun driving in the snow like this anywhere else!